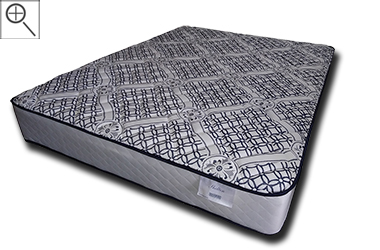 The Double-Sided Shelton Plush mattress by Symbol is a great value with a heavy duty build and a medium feel. 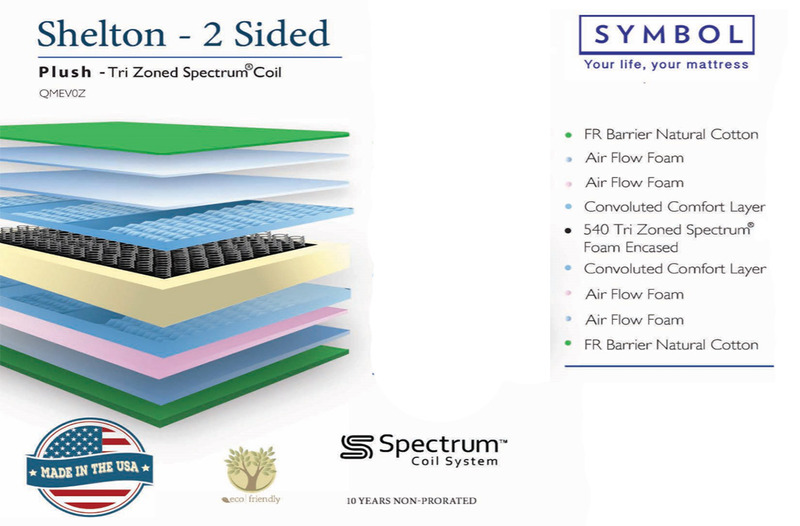 The two-sided design adds to the overall durability of the mattress, the Spectrum coil unit is both comfortable and strong, and both the natural cotton cover and the Air Flow foam layers make this bed sleep a little cooler than many others. 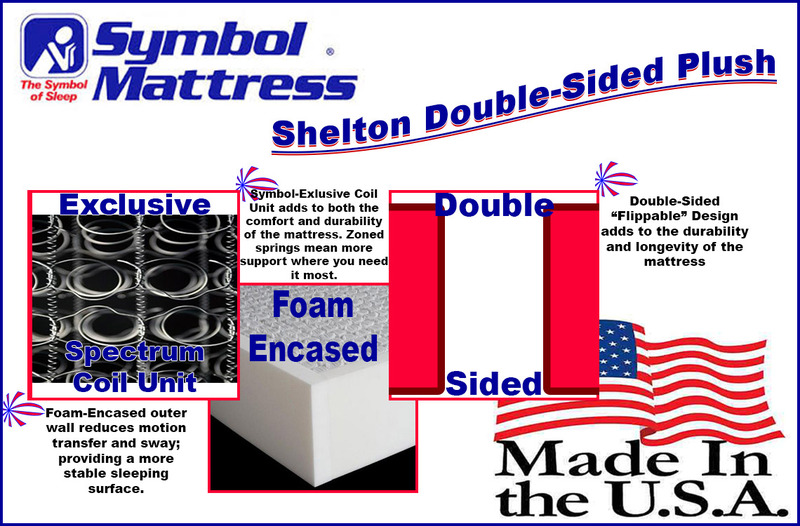 All of Symbol's mattresses are 100% made in the USA! Even the foams for their beds are made on-site in Wisconsin. The line that this particular model belongs to - the "Comfortec" line - is considered by many in the industry to be the best overall sleep product value in the country. This medium-feel, medium-cost, luxury-quality mattress surely will prove to be one of our best sellers for 2017 and beyond. This mattress is a fantastic value. It seems to take after mattresses from the past - you know, the two-sided, long-lasting, affordable kinds! An innovative coil unit, a natural cotton cover, strong foam encasement and breathable Air Flow foams highlight one of the better beds on the market.